In this paper, we introduce functionally generalized normed spaces as a generalization of G - metric spaces and normed spaces. Some constructions are described within this structure and some related results are obtained. 1. Mustafa, Z. and Sims, B.; A new approach to generalized metric spaces, Journal of Nonlinear and Convex Analysis. 2006, 7(2), 289-297. 2. Dhage, B. C.; Generalized metric space and mapping with fixed point. Bulletin of the Calcutta Mathematical Society. 1992, 84, 329-336. 3. Mohammedpour, A. and Shobe, N.; Stability of additive mappings in generalized normed space, TamsuiOxf. 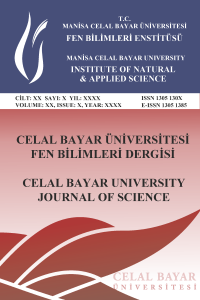 Jornal of Informatics and Mathematical Sciences. 2013, 29(2), 201-217. 4. Shrivastava, R., Animesh, G. and Yadava, R. N.; Some mapping on G  Banach space. International Journal of Mathematical Science and Engineering Applied. 2011, 5 (IV), 245-260. 5. Gahler, S.; 2-Metrische Raume und ihre topologische struktur. (German) Mathematische Nachrichten. 1963, 26, 115-148. 6. Fernandez, J. and Malviya, N.; Pseudo-G-metric spaces and pseudo- G metric product spaces. South Asian Journal of Mathematics. 2013, 3 (1), 339-343.